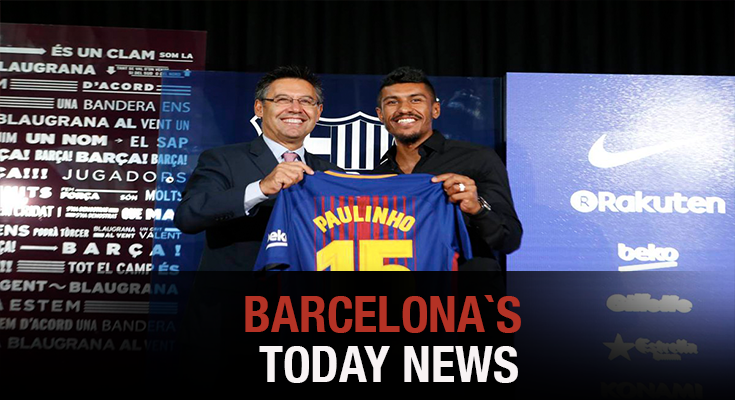 With a win over Juventus during the week, Barcelona traveled to Getafe, Madrid for a game that got complicated and it was the new card Paulinho who rescued on taking the three points home. Getafe controlled the first half and deservedly took the lead through a wonder goal from Gaku Shibasaki. The Blaugrana improved after the break and tied things up through a goal of Denis Suarez, while another substitute, Paulinho who replaced Rakitic, found a late winner and is sending a message of consolidation to Valverde’s team. The player of the match was the Japanese Guri Shibasaki who scored a jewel of goal. Since the last World Club Cup in december 2016, high expectations have been released for this player who already scored against the top spanish games, Real Madrid and Barcelona. He has only 25 years old with a big career in front. Another player who is closing all chances of goal to the rivals is Ter Stegen. In the game of Juventus imposed his determination. And for this game, stopped several chances including a prodigious shot of Arambarri and from that play, Paulinho finally scored. Confidence and safe for Ter Stegen. Bad news though for Barcelona, Dembelé got injured on his left leg in his first game being in the official lineup. After that, the team got so messy and confused. It was a very poor first half for Barcelona with Umtiti`s offensive play as the most dangerous and which Guaita cleared off with high quality. At the end, Barcelona took the three points but didn’t shine as always. They keep their first position with four straight wins and twelve points. Next Tuesday will play against Eibar and Saturday 23th against Girona. For Champions League, Wednesday 27th against Sporting Lisboa. Stay tune and bet on Barcelona for all these games. Winning winning chicken dinner!